Cat gets some help from Tess to lose some people tailing her so she can get back to Vincent. When she gets to her apartment, she finds that her sister Heather is back from Florida. Cat fakes a story about getting her laundry from the roof and briefly speaks with Vincent before they part ways again. Cat gets back and finds Heather watching a story about Vincent being a fugitive. Cat has to pretend she hasn't been seeing Vincent this whole time. Heather has news of her engagement but Cat has to run off before she can deliver it. She and Tess are scolded by their captain and Gabe, who firmly believe they are harbouring Vincent. They're suspended and must turn in their shields and firearms. Cat tells Vincent about her suspension and they decide to try to bring some things from his past to light so that he becomes preoccupied with his own drama instead of creating more for them. The Captain questions Gabe about whether or not he is acting from personal feelings and Gabe throws a tantrum saying he's not. He wants to bug her apartment and put more resources to use apprehending her. Heather visits the station to try to ask Cat if she'll help her pick out wedding dresses but Gabe informs her that she has been suspended and isn't at liberty to say. Cat looks through the database as quickly as she can before her access if revoked because of her suspension. They go through "Beast" killings and find a witness to a murder they believe Gabe committed and covered up. Cat then loses her access. The Captain calls Gabe to informs him that she was checking into the Ray Sheckman murder. Gabe looks worried but doesn't let the Captain know, subtly ending the call. Tess meets with Heather for coffee and Heather asks why Cat keeps avoiding her. Tess tries to claim that Cat is working on cases but Heather confronts her by saying she knows she's been suspended. Tess relents and says it's about Vincent Keller and that Cat is in love with him. Heather is furious and storms out of the coffee shop. Gabe calls Dom, Ray Sheckman's brother. He says the conversation is off the record and that new evidence has surfaced regarding his brother's death. He says he knows who killed him but that law enforcement won't do anything. Cat and Vincent are investigating the murder when Heather spots them. She walks off and Cat follows after her. They sit down for a heart-to-heart and Cat tries to tell Heather the truth but it's too far-fetched for Heather to believe. Gabe meets with Dom and attempts to put the blame on Vincent so he'll go after him. He then puts Heather in the line of fire by saying that Vincent saved her from her brother. He says that she can tie Vincent to his brother's death. Cat visits a man who witnessed Gabe murder Ray's death, flashing a photo of Gabe to make it clear that she knows what happened. She pleads with him to tell the truth and he admits he is afraid. She promises that she won't let Gabe hurt him. Heather goes to try on wedding dresses and is kidnapped by Dom. She is prompted to call Cat, who is with Vincent. He demands that Vincent come find them in order to get Heather back. Vincent tells Cat that Gabe must have gotten Dom involved and though she is reluctant to believe it, she realises it must be true. Vincent follows Heather's scent, promising Cat that that he will find her. Vincent finds Heather and tries to break her free but he ends up locked in a cage with her. Dom leaves a bomb there, set to go off in a few minutes. Vincent pleads with him to at least let Heather go but Dom says he doesn't want any witnesses and leaves them. Vincent asks her to trust him and to try not to overreact to what she's about to see. He beast out so he can break the chain holding her in place and bust the cage open. Cat has caught up and takes out the henchmen. Heather is reunited with Cat and the bomb goes off but no one is hurt. Needless to say, Heather now believes Cat and has warmed to her being with Vincent. Cat and Vincent are able to share a quiet, romantic moment on their roof before he heads off again. Gabe is pulled into a lineup at the station where the witness has come in and identifies Gabe as Ray Sheckman's murderer. There is no doubt in what he says and agrees to testify in court. Gabe visits the witness, who is being guarded by an officer. Gabe knocks him out, hoping to scare him into retracting his statement. The man yells for help and Gabe kills him. 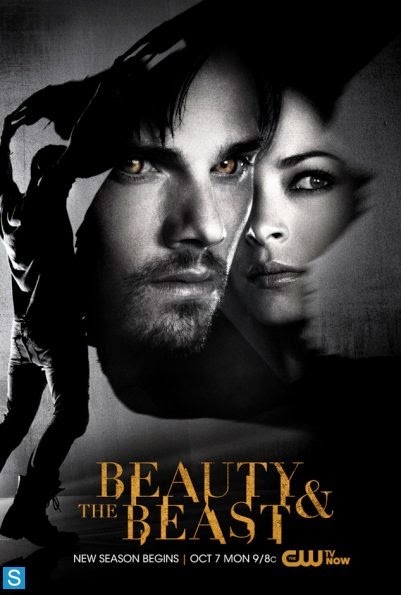 Beauty and the Beast airs on Mondays on the CW at 9PM.